BEC ribbon-cutting ceremony. Photo by Jim Zietz. The Business Education Complex opened in 2012, but opportunities for enhancement abound in the new home of the E. J. Ourso College of Business. Visit business.lsu.edu/BEC to learn more or to make a gift. After using SAS Analytics in teaching and research for more than 30 years, LSU partnered with the business analytics software company to launch a Master of Science in Analytics to meet the workforce demands of this growing field. The program, housed in the Department of Information Systems & Decision Sciences, is a combined effort between the department and the College of Agriculture’s Department of Experimental Statistics. LSU graduated its first class of students with advanced analytics degrees in 2013, with impressive results. Nearly all of the 16 students received job offers before graduation, averaging two offers per student. More than 100 students applied for entry into the 2014 class; 33 were selected. The overwhelming interest has sparked buzz about creating an Analytics Institute and an analytics PhD program. 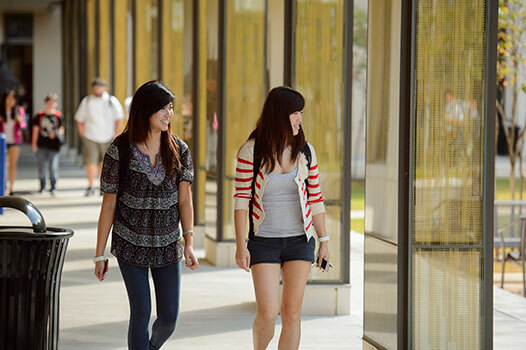 Students walk to classes in the new Business Education Complex. Photo by Jim Zietz. The Business Education Complex is equipped with a Securities Markets Analysis Research and Trading Lab, a financial lab that offers students and faculty access to real-time financial data, professional research tools and leading analytic software. The lab functions as a high-tech, hands-on classroom, complete with Bloomberg Terminals. The college started with two terminals of the software that provides news, quotes and information on markets, equities, fixed income, currencies, portfolio analytics, mutual funds and economics. A small group of dedicated alumni and friends collaborated to commit $30,000 per year to fund an additional terminal. terminals from the Bloomberg Educational Foundation, bringing the total number of terminals to 12. Students now have the opportunity to use the software at any time, and can obtain their Bloomberg online training certification before graduation. “Although we are just over a year removed from the ribbon-cutting ceremony for the BEC, we have already experienced tremendous benefits because of this state-of-the-art facility. In addition to being able to host almost all of the college’s functions on campus now, we have witnessed impacts on a variety of fronts. “When U.S. News & World Report announced its 2014 rankings, the LSU Flores MBA Program jumped 20 spots overall, and is now 31st among the nation’s public institutions. Our Bloomberg Businessweek undergraduate program ranking improved overall by two spots, and we are now ranked 59th among public institutions. Earlier this year, Eduniversal, a worldwide organization, ranked our master’s of public administration program in the top 20 in all of North America. Additionally, our master’s of finance program was ranked in the top 40 in North America. • The Business Education Complex includes approximately 156,000 gross square feet of learning and research environments, including classrooms, labs and offices for faculty and college administration. • The rotunda is home for the college’s student services, professional programs, institutes and administration. • The Commons is a 3,500-square-foot central atrium providing students with study space, Internet access and areas for group meetings. Convocations, guest speakers, alumni functions and other events that bring together students, faculty and friends as a community are held in the atrium. • The auditorium seats 300 students and guests for conferences, guest lecturers and student symposia. • The Executive Dining Area provides a professional area for meals and snacks, and a dining area for the Executive MBA Program, Executive Education and special events. • The undergraduate and graduate wings, each arranged in four pavilions, house classrooms for courses and faculty offices for their academic departments. • The two wings include 22 radial and case-style tiered classrooms designed for discussion and learning and equipped with the latest in audiovisual equipment, plus 15 smaller rooms for seminars and breakouts. • The SMART Lab, a 40-person financial trading room, is equipped with the most up-to-date financial analytics and data. • Community Coffee sells coffee and light fare.